Storm Cursed is set to be released on May 7th! Patty's signing tour will kick off the same day. 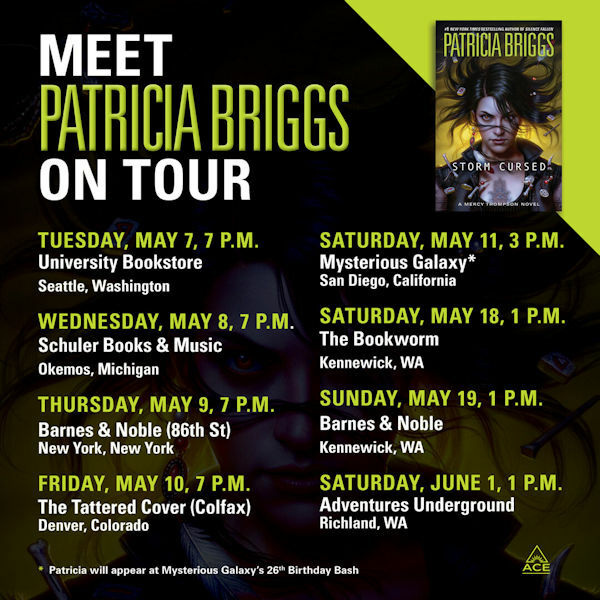 Be sure to check the image below to see if she's making a stop near you as well have a look at her appearances page for expanded signing tour details as well as stops that will happen later in the year. We're also giving away two copies of Storm Cursed. One for US readers only (a big thanks to Patty's publisher for supplying this copy) and one for International readers only (that includes Canada). Be sure to enter the correct draw! Good luck everyone.